Lets Watch and Learn From “Nick The Informative Fisherman”! He has a big Youtube Channel and I’m always learning something new from Nick. Bomber long 1 magnum, Yo-zuri crystal minnows, Kastmaster spoons, Bucktails and jigs. Another good one is a red eye shad from strike king. The fall months are finally upon fisherman and the time to catch stripers is imminent. However, these fish can cause the reluctant fisherman to go home empty-handed. When it comes to striped bass, it is all about being able to adapt to their biting patterns. While many will go home empty-handed after a day of fishing, others know proven techniques that will allow them to make the catch of the day. Sometimes, the fish simply aren’t biting. No matter what a person does, they will find that they are left without any fish biting at all. Instead of keeping up with the competition, beat them at their own game. The hour after the rest of the anglers have gone home are normally the most fruitful. Start the day late and be rewarded. Stripers will swarm to the surface during the fall months. This means that different lures will be needed than those found during the warmer months. 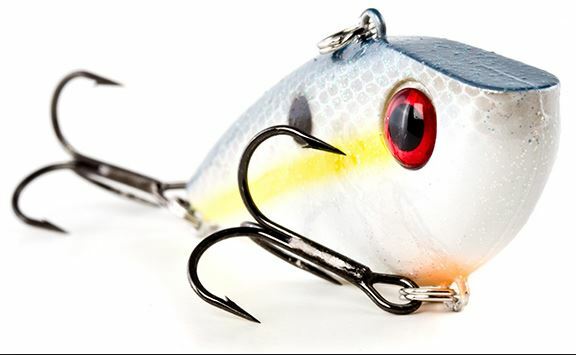 Top water lures will perform best during this time of year. Poppers and minnow seem to work well for most fishermen trying to reel in a striper, but this is purely preference. The seasons seem to be getting warmer and warmer. Those preparing to go fishing in early fall may be shocked to find that temperatures are still quite warm. Some weeks, the weather may feel like summer. This means that stripers will be deeper in the water and completely different gear will be needed. Being unprepared can lead to no fish biting at all. 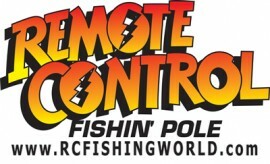 Bring gear that is used during summer and fall fishing seasons. This will ensure that you are prepared to fish no matter how deep the stripers are or how close they are to the surface. Every day will bring about different fishing patterns. Different weather, fishing spots or regions can bring about different fish behavior. Being able to change methods and techniques will always be needed to increase the amount of fish caught. Next Post:Flipping for Bass-Learn this and catch more Bass!